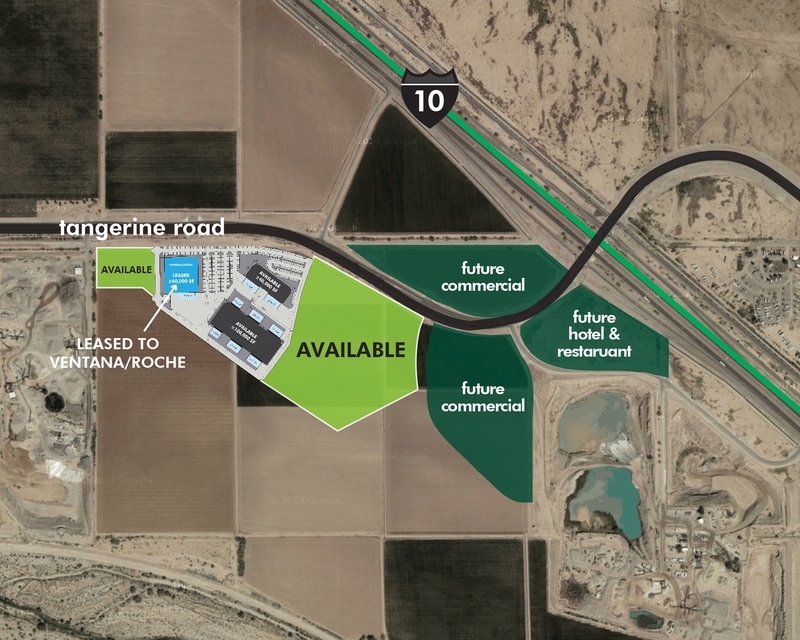 Tangerine Commerce Park is Northwest Tucson’s next major commercial interchange. Cottonwood owns approximately 100 acres that front on the four lane fully improved Tangerine Farms Road. Tangerine Commerce Park is zoned to accommodate a range of retail, office and industrial uses. Our first major tenant is Ventana Medical Systems, a subsidiary of Roche – the world’s largest biotech company. Tangerine Commerce Park has high visibility from the I-10 freeway and is only 25 minutes from Tucson International Airport and 75 minutes from Phoenix Sky Harbor Airport. It is located in the pro-business Town of Marana with direct access to Oro Valley via Tangerine Road and close proximity to Gladden Farms and Dove Mountain. Businesses in Tangerine Commerce Park may qualify for the Town of Marana’s Job Creation Incentive Program (MJCIP). The program includes employee relocation allowances of up to $3,000 per employee as well as a training and internship allowance. Additional allowances are available for I-10 corridor “beautification” for landscape, building facades and signage. Allowances are made through construction tax reimbursements. Marana also offers Expedited Development Review Incentives.